Professional lashes to lengthen eyelashes-without knots for an even more natural lash look. The clusters are extremely filigree and give your customers a great natural look. The cluster eyelashes last about a week and are available in three different sizes (8, 10, 12mm). 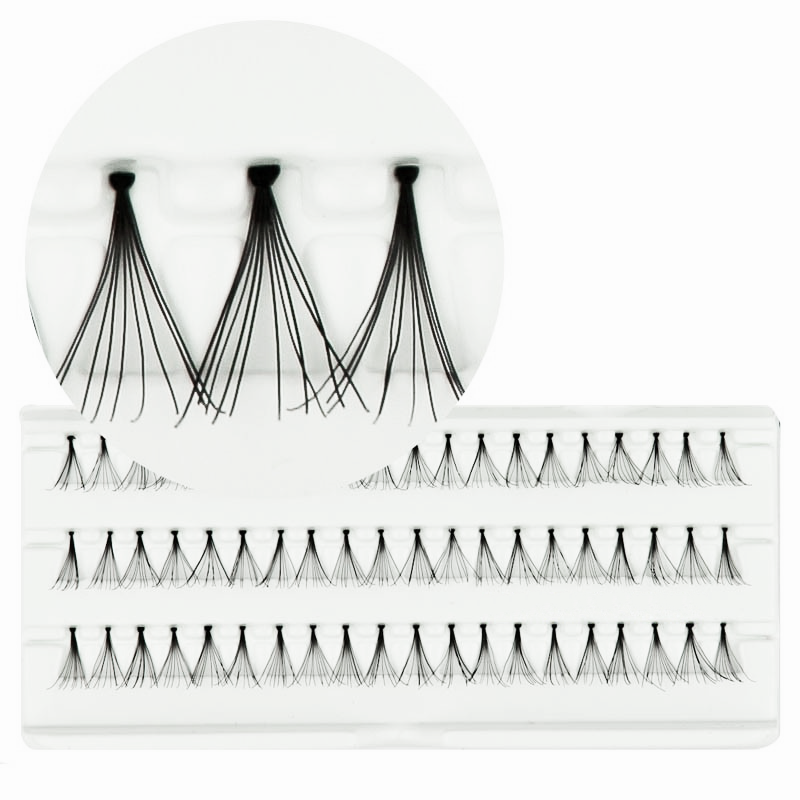 One package contains 3 rows of 20 tufted lashes, 60 tufts consisting of 10-12 hairs each. The cluster eyelashes are delivered without the glue. Of course you can also find the matching professional glue in our online shop for professionals.